Embattled Assembly Speaker Sheldon Silver has agreed to step aside from his powerful perch while he faces federal corruption charges, the Daily News has learned. 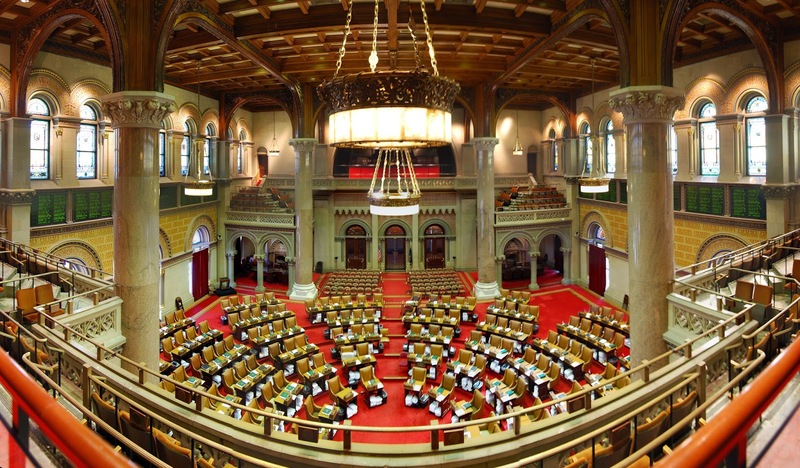 A source with direct knowledge of the deal says the chamber will be run jointly by five veteran Assembly Democrats — Majority Leader Joseph Morelle (D-Rochester), Herman "Denny" Farrell (D-Manhattan), Joseph Lentol (D-Brooklyn), Cathy Nolan (D-Queens) and Carl Heastie (D-Bronx). "It's done," the source said. This sudden and dramatic turn of events is likely very good news for the MMA in New York effort, as four of the five names mentioned who will be stepping in to run the legislative show are supporters of the sport. In fact, Majority Leader Morelle was the sponsor of last year's MMA bill. In terms of a timetable for getting an MMA bill done, it's hard to pin down when that could be - suffice to say that the session ends in June, and an MMA bill would be a low legislative priority compared to other issues. Regardless, with Speaker Silver out of the picture and four pro MMA Assemblyman helping run the show, it's safe to say that things are certainly looking up.